This workshop is about RGB lighting technology and is designed for both newcomers as well as veterans who are interested in incorporating RGB lighting into their holiday display. It will seek to cover as much material as possible in an 8 hour class. Terminology, how to calculate electrical loads, wiring, controllers, pixels, dumb strings, communication methods and types, configuration, software which can be used for programming and more will be discussed. 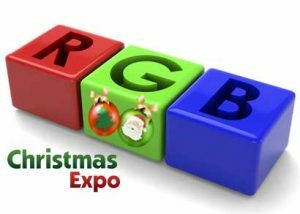 The class seeks to assist anyone trying to figure out where they can use RGB technology in their display, how to utilize it and prepare them with RGB knowledge so they can better select which RGB classes to attend at Christmas Expo. Important Note: This class does *not* focus on specific manufacturers or specific brands of RGB products. It will seek to present a balanced approach to a wide range of RGB technologies available (both hardware and software) for use in Christmas, holiday and other lighting displays. Practical examples: Can you combine everything into one display? Drew Hickman was an early pioneer in animation, creating the very first commercially available hardware (ChristmasCave*) and software (Dasher*) products for music-synchronized displays. Since those early days in his garage, Drew has gone on to help drive advances in the lighting and animation field and has helped an untold number of lighting enthusiasts create displays. He has also designed impressive home and commercial displays through his business, Holiday Technologies. Holiday Technologies is an official dealer of Light-O-Rama products and the official LOR training partner.